Berry Mountain Cycles » Why Berry? 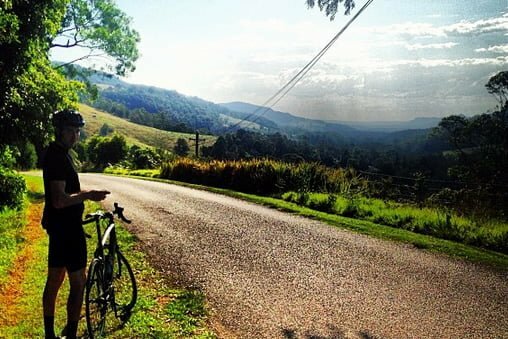 Berry on the South Coast of NSW is surrounded by some of the most spectacular cycling scenery Australia has to offer, lush green fields and mountain passes to the west and the pristine blue ocean and rolling quiet roads to the east. Berry is an outdoor playground! Our vision for Berry Mountain Cycles started here and in October 2009 when we proudly opened our doors to the welcoming community. There are lots of beautiful places on the South Coast but it’s the people and the community that makes Berry irresistible. From the outside, Berry is a beautiful rural town but once you spend some time here you quickly realise it’s the people that make it great, they are as active as they are diverse. In July this year a local community group got together to raise funds for footpaths and cycles ways in and around Berry and the Inaugural Tour de Berry was born. A three week long community Festival which will be run each year to celebrate cycling, food, wine and our love of French Culture. A key element of the Tour de Berry was to have inclusive cycling events for all age groups and abilities, the rides were a roaring success with over 260 cycling participants during the festival which included a children’s team relay, beginner’s rides, female specific rides, and grand tours of up to 150km. As a community we raised $70,000 all of which will be going towards improving Berry’s walking and cycling routes across town.